Family of missing IDF soldier delays release of terrorists' bodies. Supreme Court Justice Neal Hendel on Wednesday ruled that the State of Israel must submit all classified and intelligence documents relating to the Israeli government's decision to transfer the bodies of three terrorists for burial. The terrorists in question carried out terror attacks against IDF soldiers and Israeli civilians in Judea and Samaria during the past several months. "The best solution is that the State submit the relevant classified information....as soon as possible," Hendel wrote. The ruling came after the Goldin family, which lost their son Hadar during 2014's Operation Protective Edge, requested the court intervene so that the government decision not to return the bodies of Hamas terrorists be implemented. 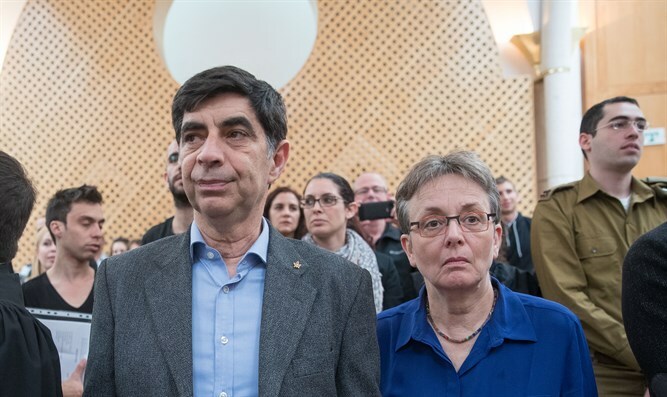 The Goldins also requested that the terrorists' bodies only be released on condition that their funerals do not turn into mass events and media festivals serving the purposes of those holding Israeli civilians and the bodies of IDF soldiers.